Copper Canyon Press, 9781556592478, 83pp. 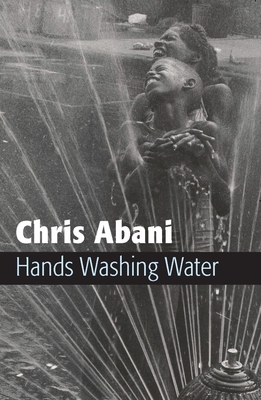 Hands Washing Water is Chris Abani's fourth poetry collection--a mischievous book of displacement, exile, ancestry, and subversive humor. The central section, "Buffalo Women," is a Civil War correspondence between lovers that plays on our assumptions about war, gender, morality, and politics. for your immortal soul, dear sweet Henri. with a sickness too depraved to even address. . .
Abani's writing is ruthless, at times traumatic, and consistently filled with surprising twists and turns. Chris Abani was born in Nigeria in 1966 and published his first novel at sixteen. He has been imprisoned, tortured, and sentenced to death for his literary activities. After fleeing Nigeria he continued to write, and is the author of ten books of poetry and fiction. He teaches at UC Riverside.